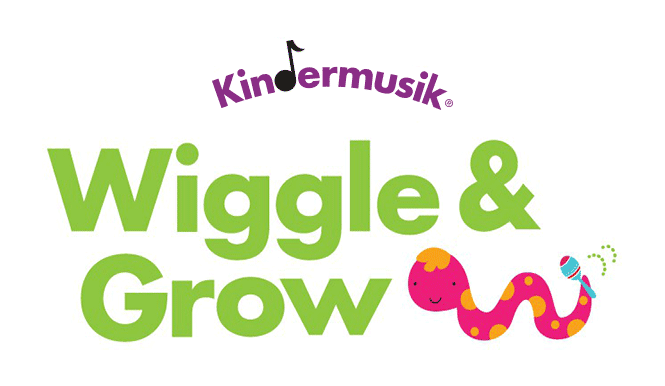 Language Development – Your child is on the edge of a verbal explosion, and a Kindermusik class provides them with lots of opportunities to practice and develop those budding language skills. Singing and vocal play along with Story Time, chants, and finger plays all help stimulate language development in a fun and pressure-free way. Vocal Development – For toddlers, learning to use their voices starts with imitating sounds, playing with the many sounds our voices can make, singing short songs, and chanting simple rhymes –all with you as a model and inspiration. Learning to sing in the appropriate vocal range means that toddlers begin to explore their voices and emerging pitch accuracy. But it goes beyond just building strong singers. Singing develops memory and recall, lung and cardiovascular strength, as well as creativity, and socialisation. Fine Motor Skills – At a time when your child is becoming more and more independent, a little practice with smaller-sized instruments, finger plays, and turning pages in a book means that the hand muscles learn to cooperate more and more with the brain. Social Emotional Development – There’s no doubt that your toddler is becoming their own little person, but they still need you as their anchor of security. We ensure your child’s healthy social and emotional development through predictable routines and special rituals, being around other children, practice with sharing, and best of all, play time with you. Musical Development – Toddlers are delighted by music, and there’s no better time than in these early years to inspire what will become a lifelong love for music. From drumming to singing to dancing together, you’ll love how your classes inspire your daily routines and strengthen the bond you share.